I didn`t see this coming. Nothing in Grammy Award nominated Mike Silver`s back catalogue prepared me for quite how brilliant “On Vacation” is. The delicacy has always been there (check the Eno cover from last year on Driftless Recordings), but a touch of Jazz has produced his finest and perhaps International Feel`s most enduring music to date. Away from the dancefloor and back to Jose Padilla`s Cafe Del Mar, it`s the Jazz of ECM folk songs, of clarinet calls and kalimba patterns, of Metheny`s “First Circle”, and the tongue-in-check Trad of Hosono`s “Paraiso”. It`s the acoustic preludes and bandoneon that accompany the images of Left Bank lovers oblivious to the world on Seigen Ono`s Comme Des Garcons collections. Romance in waltz time. Hand in hand hearts in flight. Back when Jose was changing CDs in between fixing coffees. Back to the original idea(l). “Pleasure Centre” nods to Wally Badarou and a piano refrain echoes the OG “Balearic” of the French mix of Chris Rea`s “Josephine”. These old ears can hear Kim Carnes` “Draw Of The Cards” in there. Slap bass and the chops of veteran session musicians. “Vermont” might be Suzanne Kraft covering the Penguin Cafe Orchestra`s “Dirt”, “Lighthouse On Chatham Sound” might be Jonny Nash covering Mark Barrott`s “Essene”, and there are similarities with Jonny`s Melody As Truth in general, in the reverb and delay, in the simple guitar figures treated, then adorned, lifted and lit by brief smiling flashes of that bandoneon, of bright flute tones, of keys like bells, and bells. There are also similarities with Bullion`s forthcoming “Loop The Loop” long player. The opening “Sate Padang” in particular plays with signatures and arrangements in the same way as “Dip Your Foot”, “FoYoC”, and “My Lar”, the standouts for me on that release. When I first listened to “On Vacation” with Apiento in the early hours of a September morning last year, he said to me, “It`s all so beautiful, but why can`t it be longer?”. The music`s brevity throughout adds to its poignancy, commenting on transience, a party that wasn`t meant to last, creating stories, lives, caught in quick burning flame. 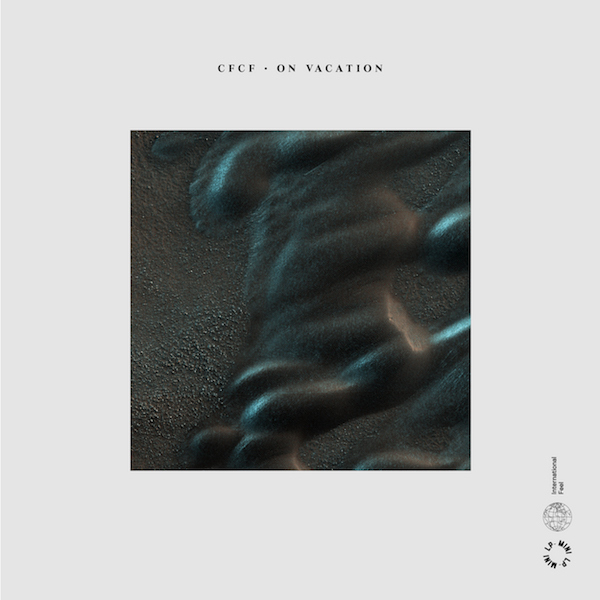 CFCF`s “On Vacation” is in shops on Friday.